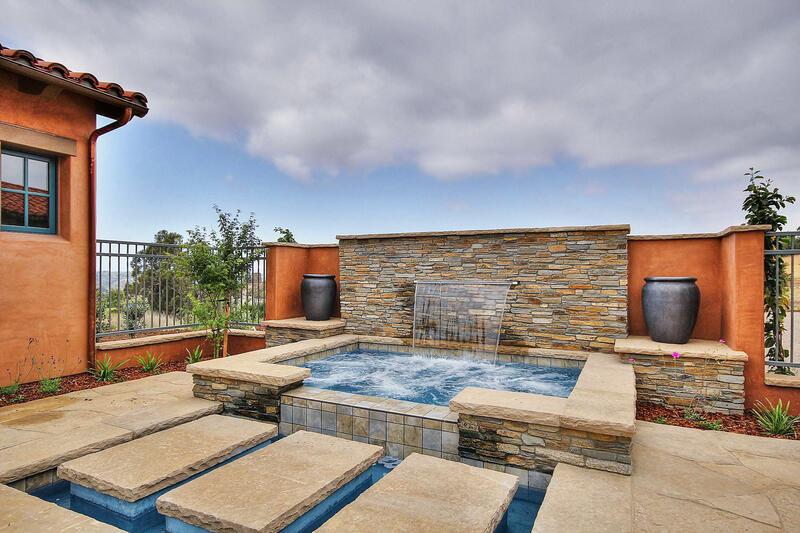 ... nature sanctuary. 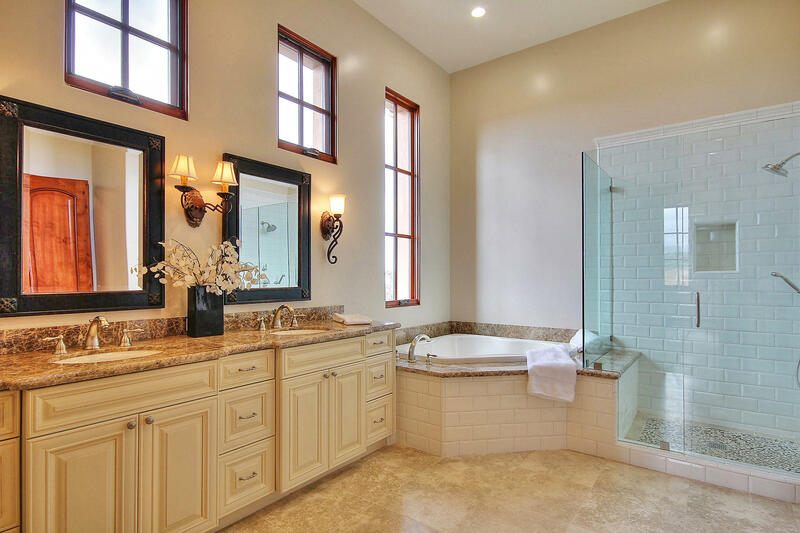 Classic, enduring Santa Barbara style and elegance with a distinctive flair. 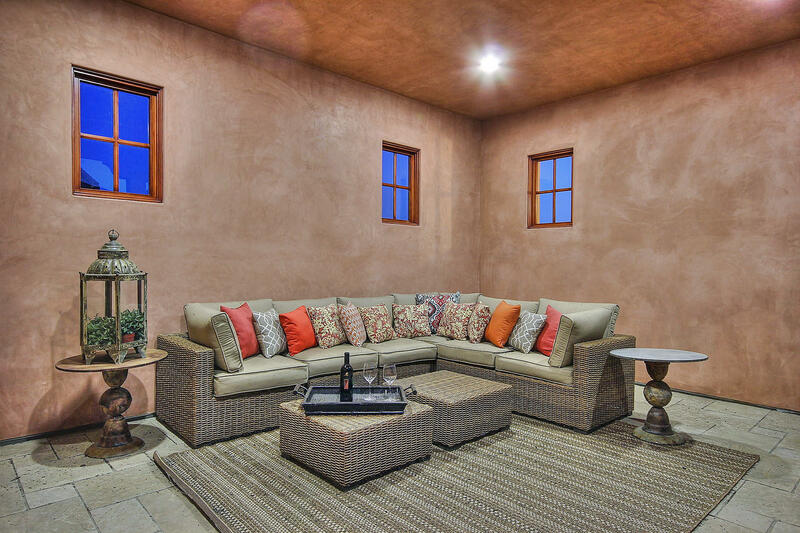 Enjoy the essence of indoor/outdoor living as the Great Room flows effortlessly into the courtyard and verandas. 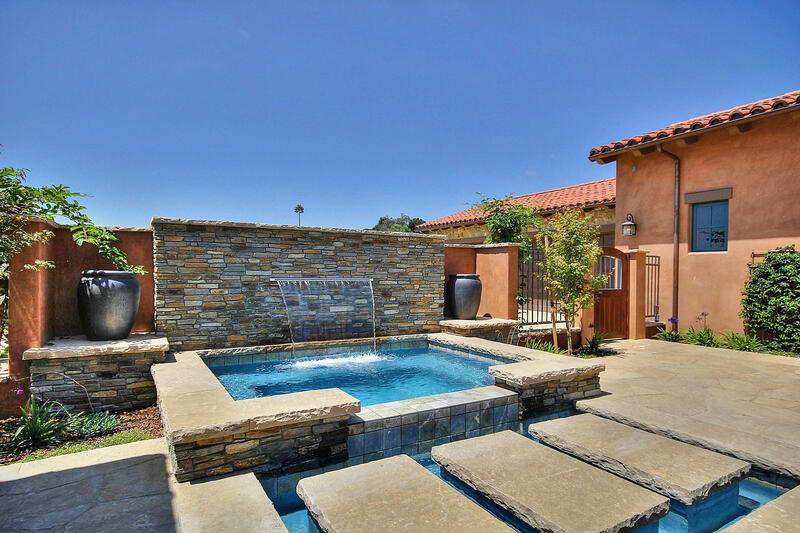 Fabulous pool/spa, waterfall, fire pit and stone hardscape make the private central courtyard truly an entertainer's delight. 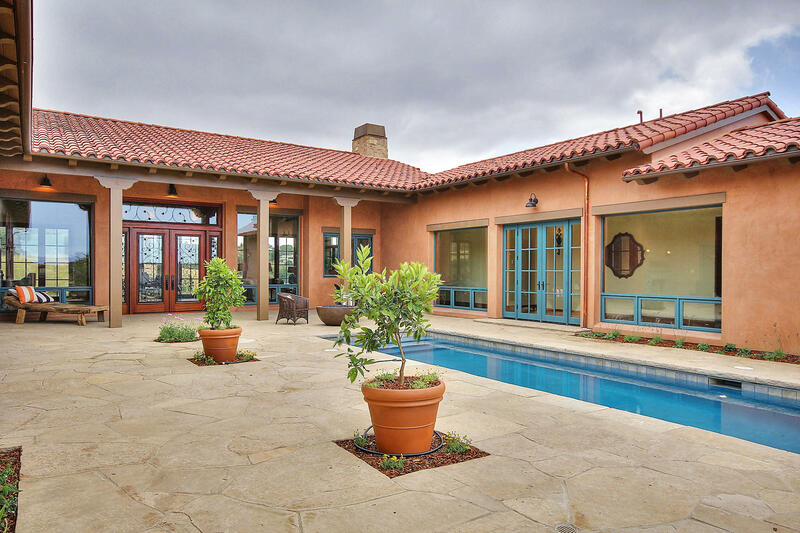 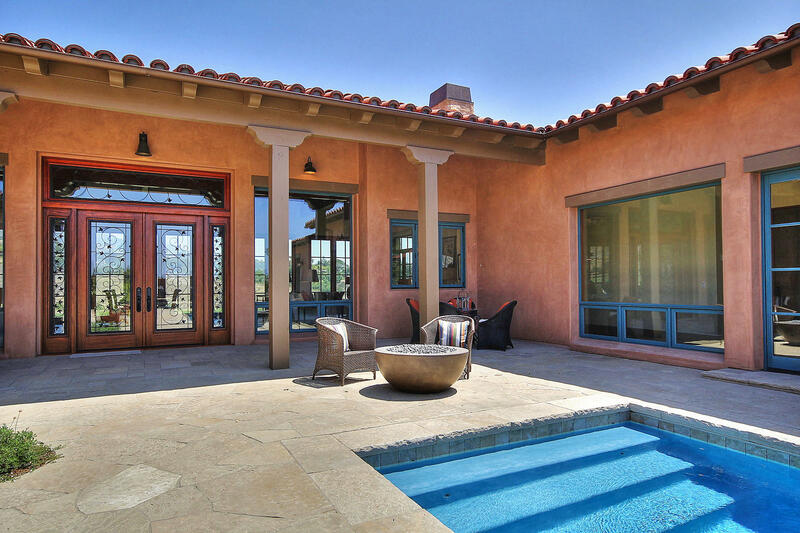 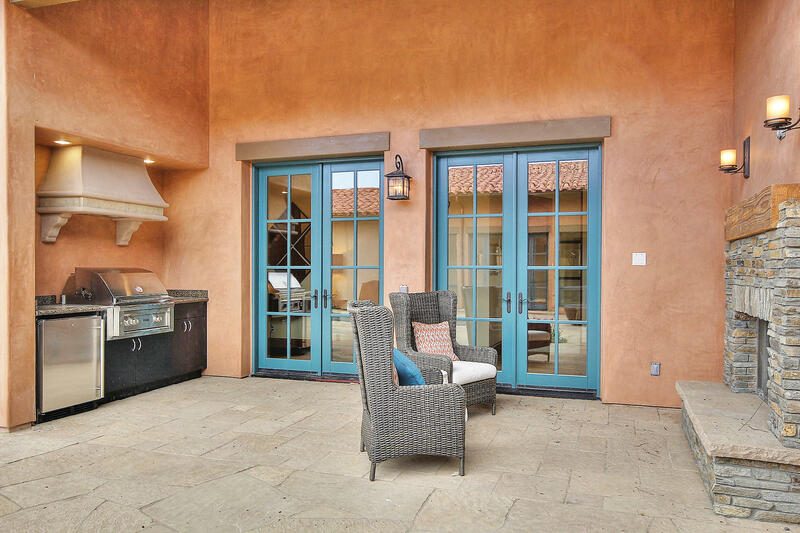 Loggia with outdoor barbeque kitchen, fireplace and dining offers a perfect spot to relax and overlook the pool. 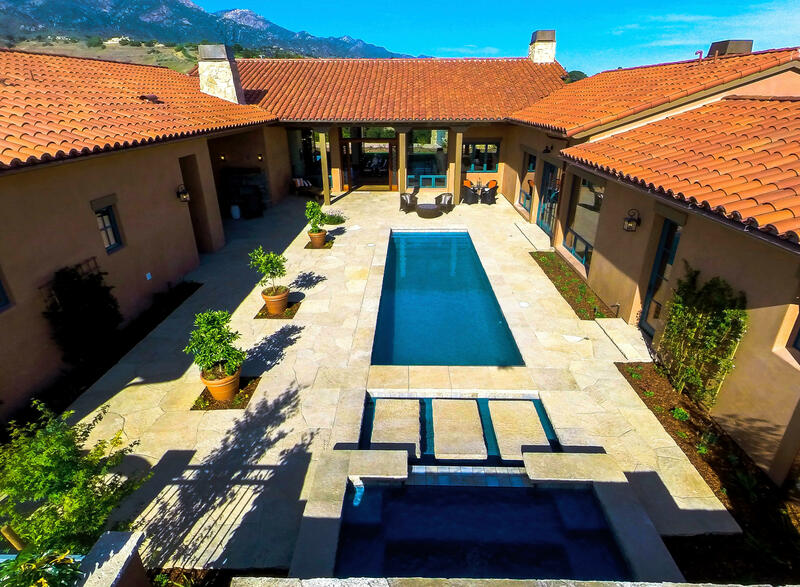 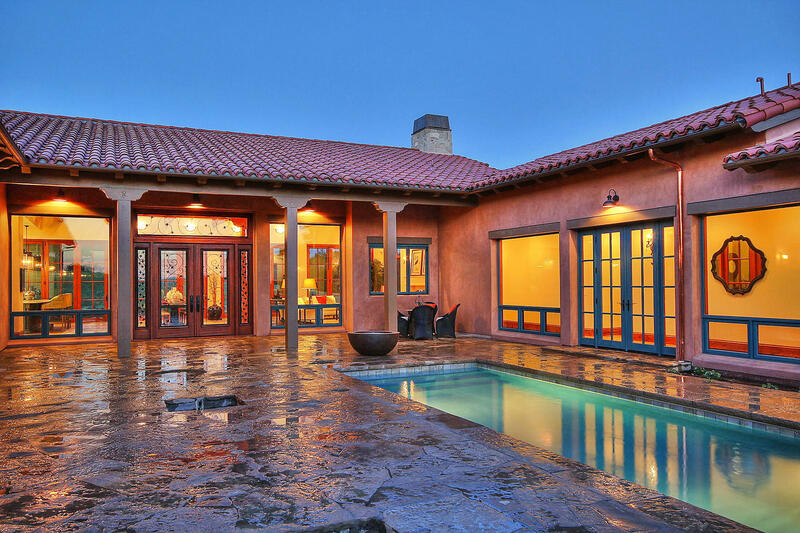 Beautiful views of the surrounding meadows and mountains from almost every room of the home are complemented by internal views of the luxurious central courtyard with its inviting pool/spa and waterfall. 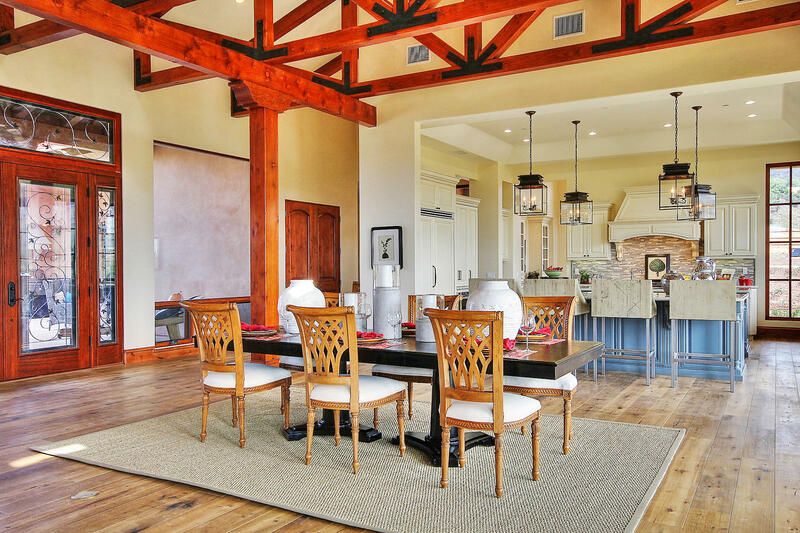 The Meadows at San Marcos Preserve provide a home, a sanctuary really, that feels worlds away, yet is just minutes to shops, restaurants and excellent schools. 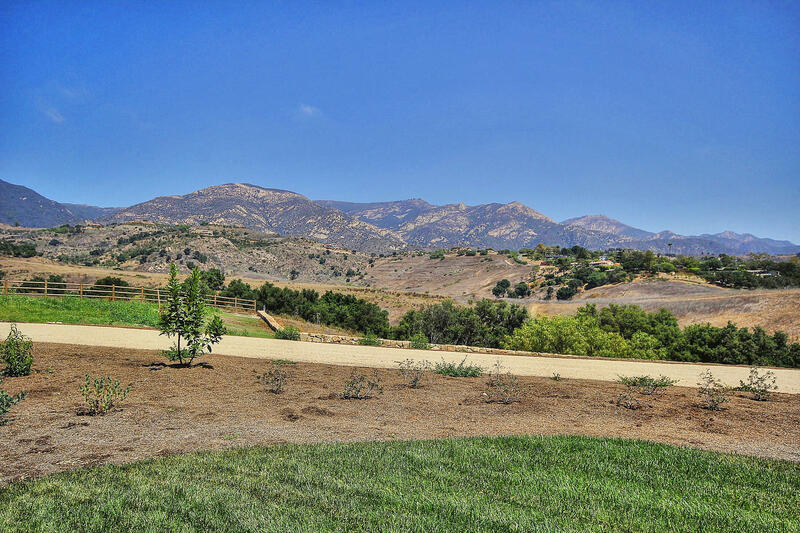 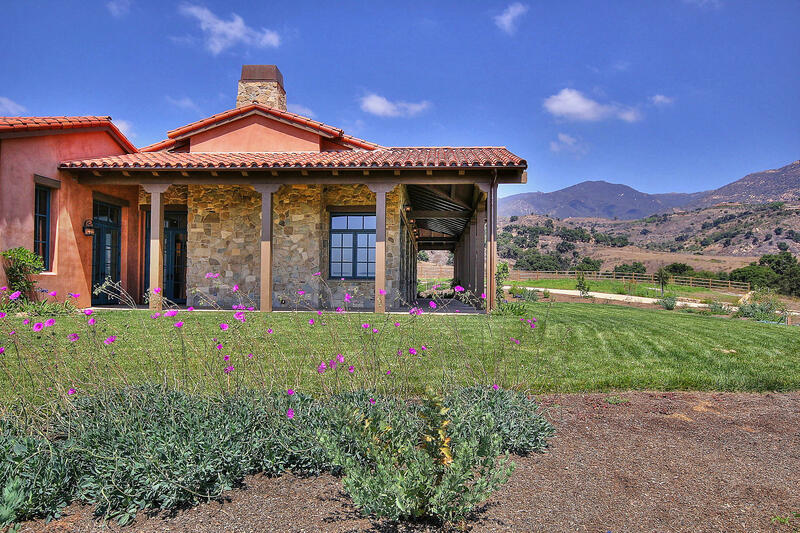 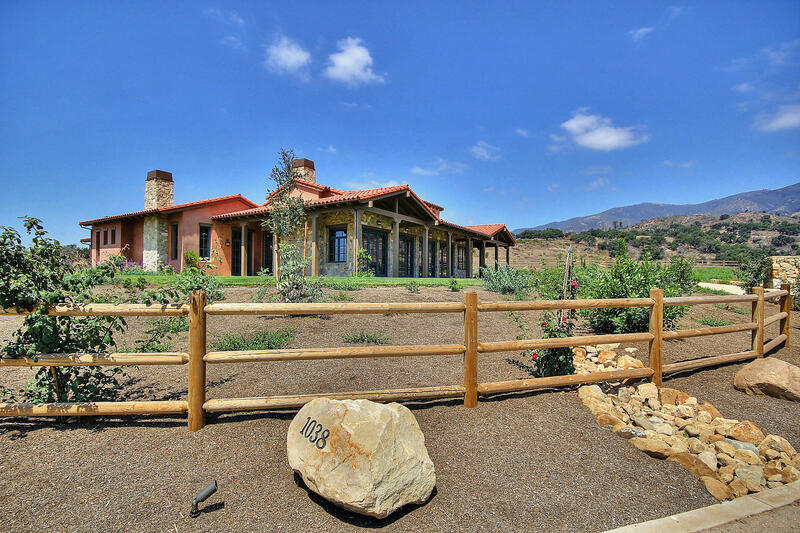 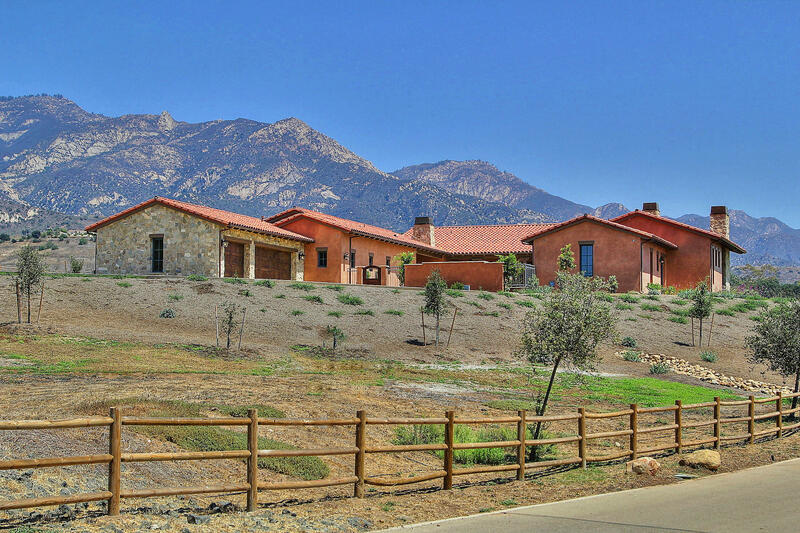 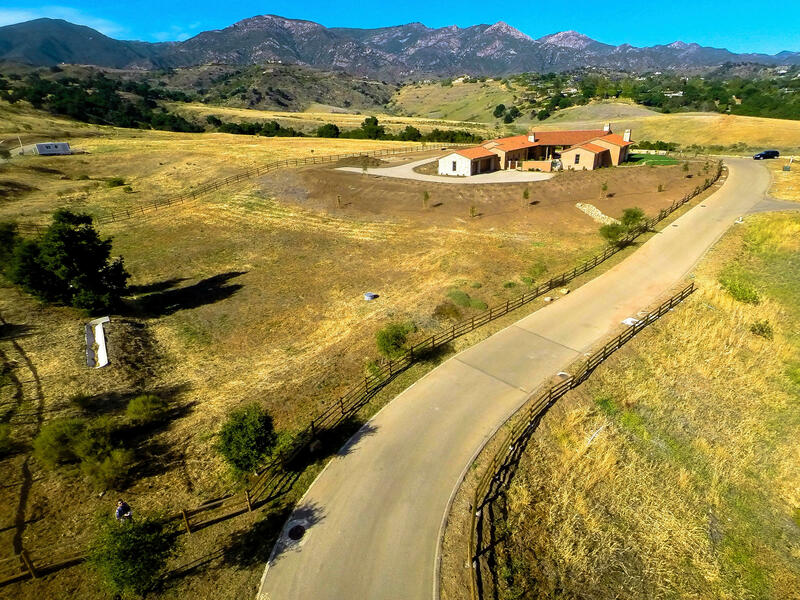 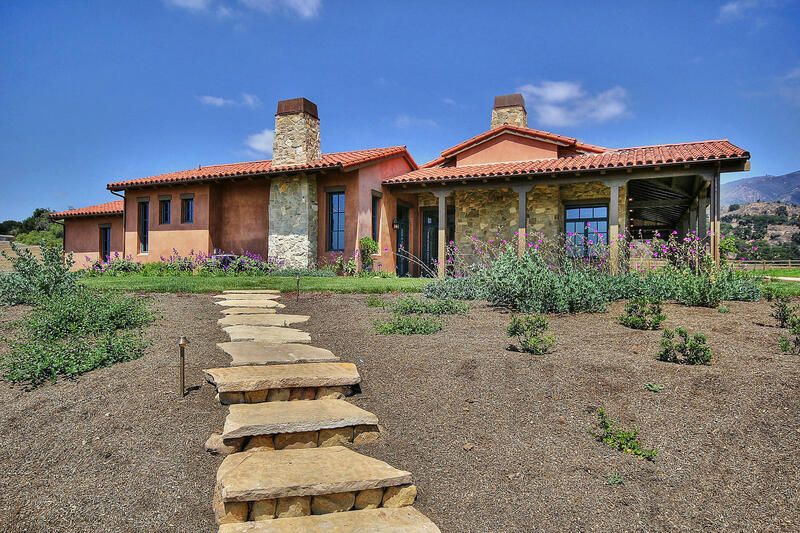 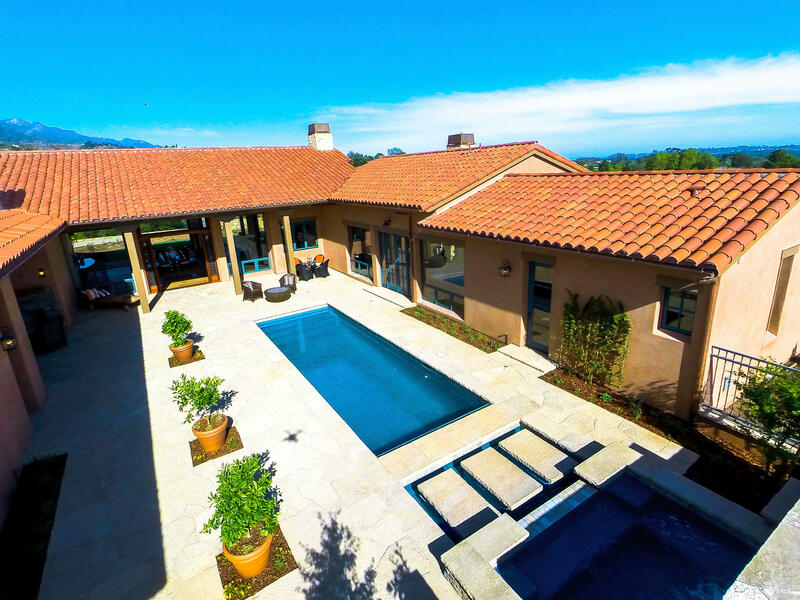 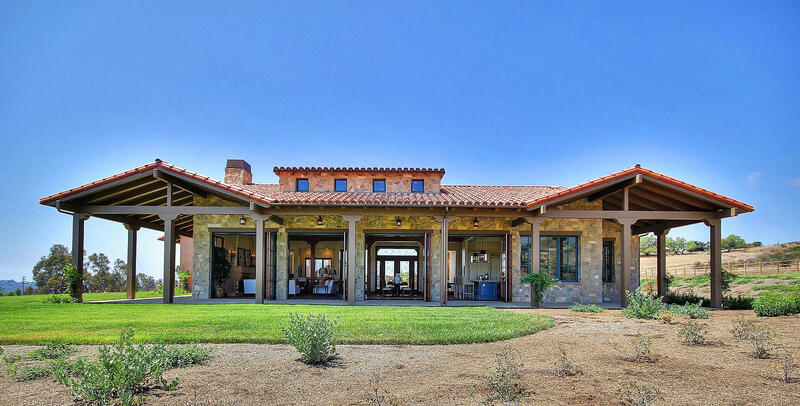 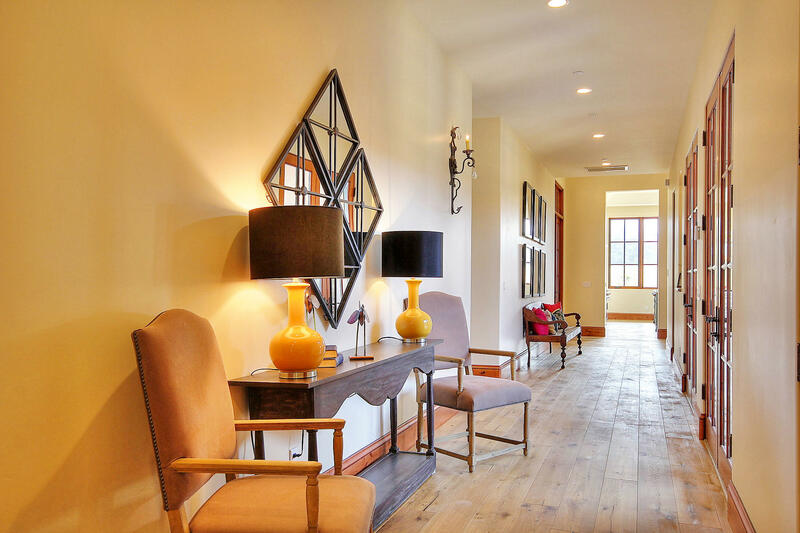 This exclusive enclave of large estate parcels has a lovely countryside feel and grand wide-open vistas without the commute over the hill into the Santa Ynez Valley. 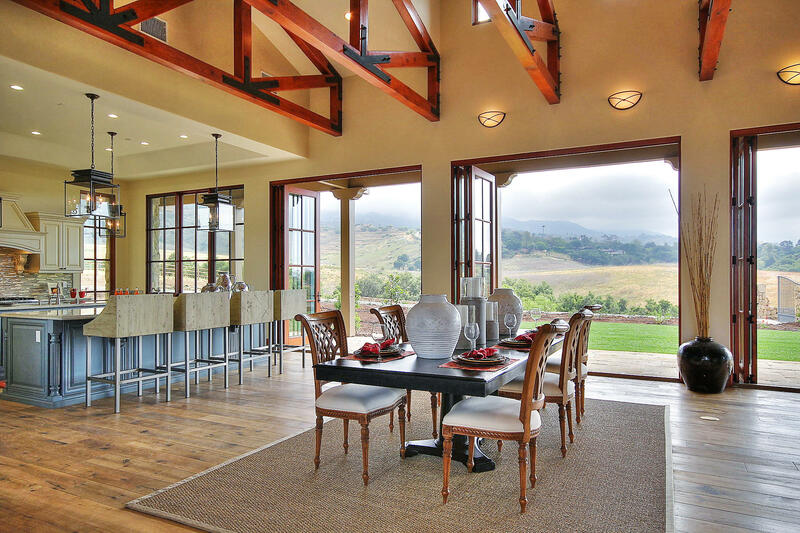 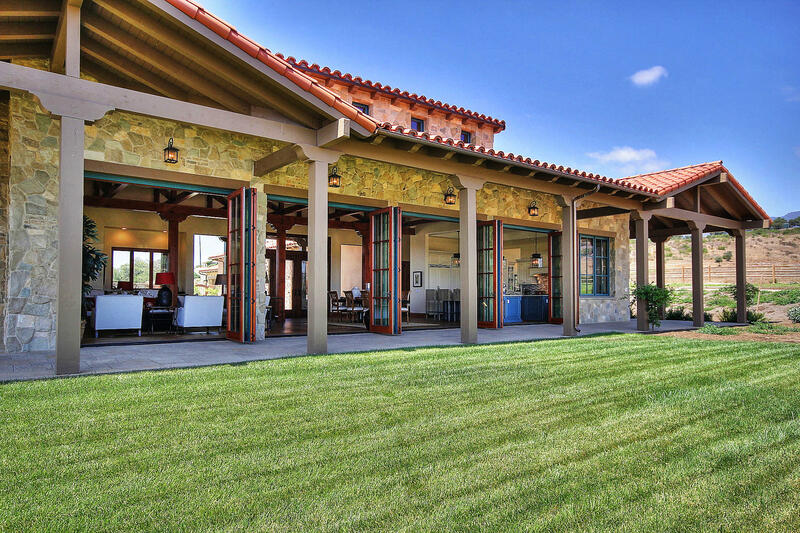 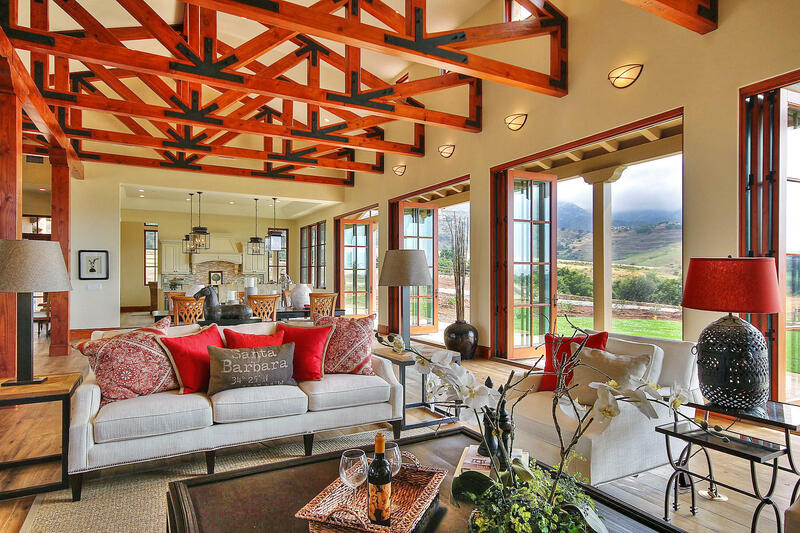 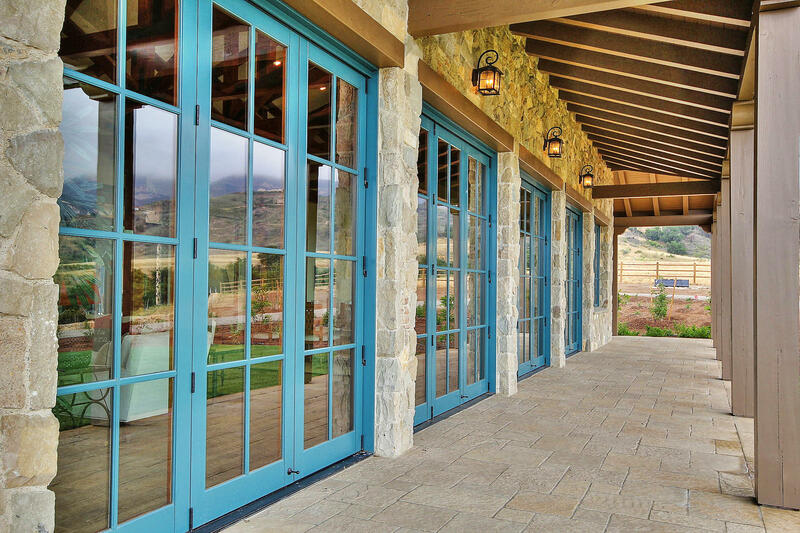 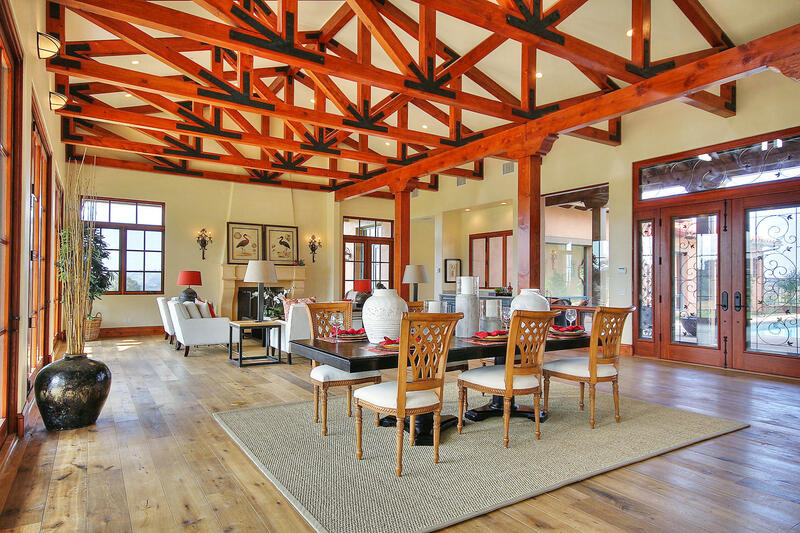 The heart of this Spanish villa is its spectacular Great Room with massive beam ceiling and tall lanai-style folding doors which open the whole room to the unobstructed scenery of the mountains and fields preserved by The Meadows. 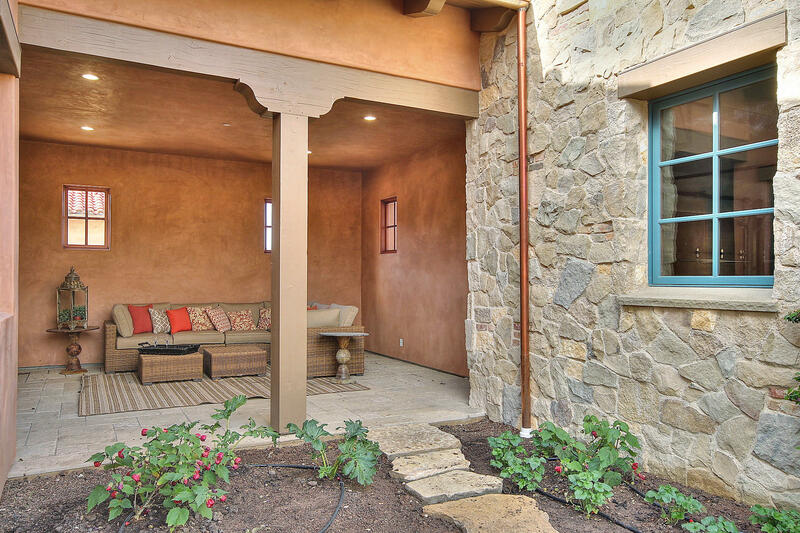 Stroll out onto the covered stone patio which is an extension of the Great Room and become immersed in the surrounding natural beauty. 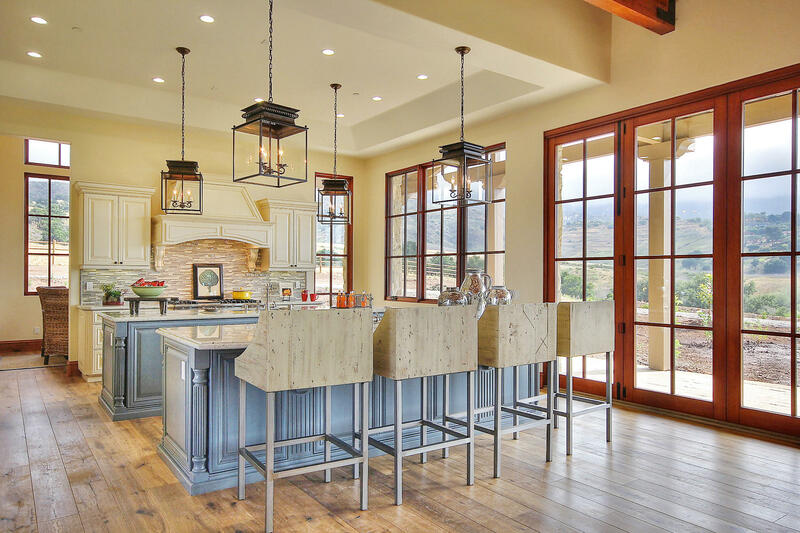 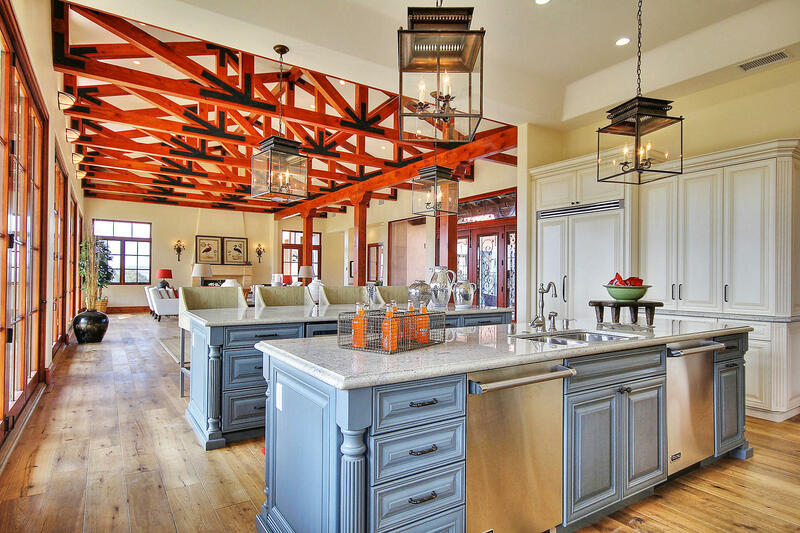 Two gourmet kitchen islands along with top-of-the-line Viking appliances make entertaining a pleasure. 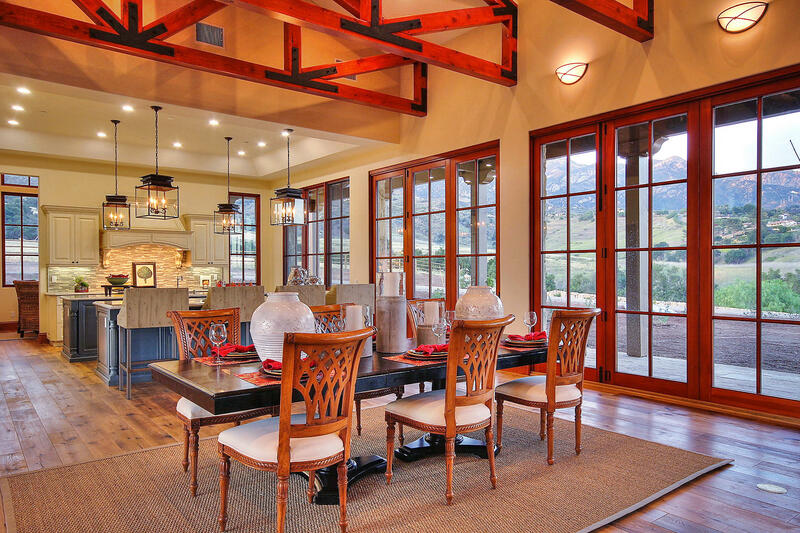 A breakfast room, with tall windows capturing the dramatic morning sun on the mountains, provides a relaxing place to enjoy your morning coffee. 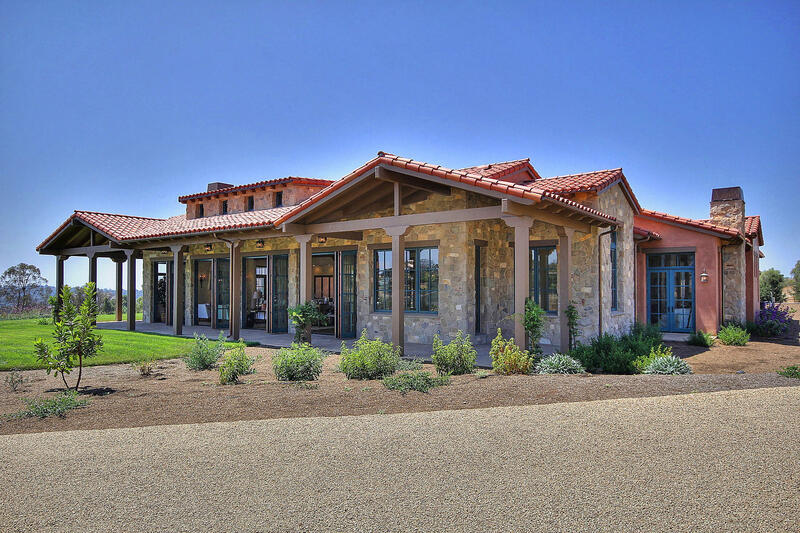 Two separate wings provide a versatile floor plan conducive to a variety of living situations. 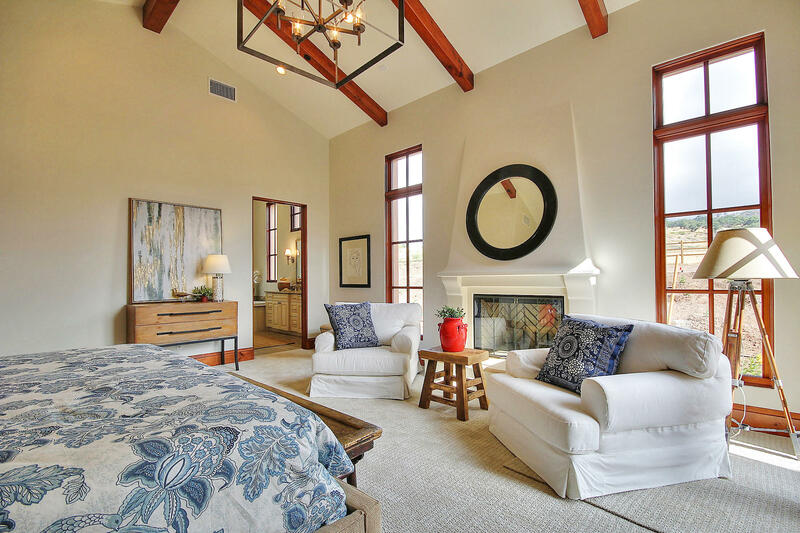 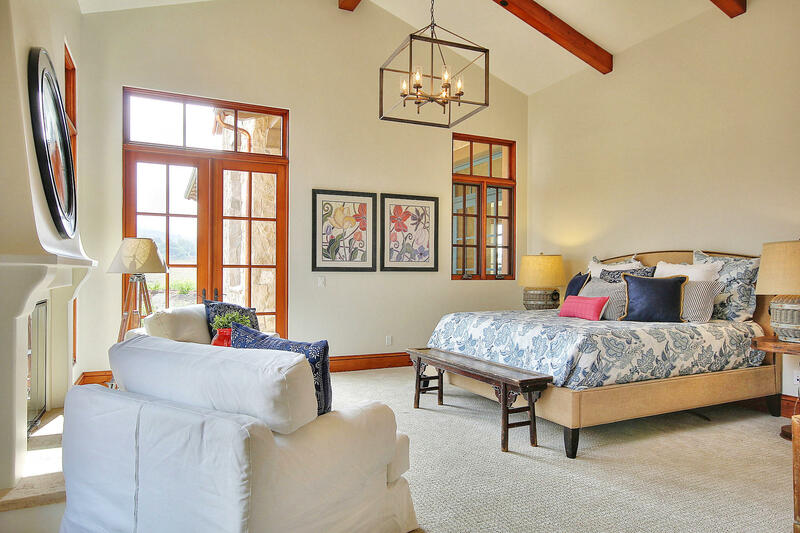 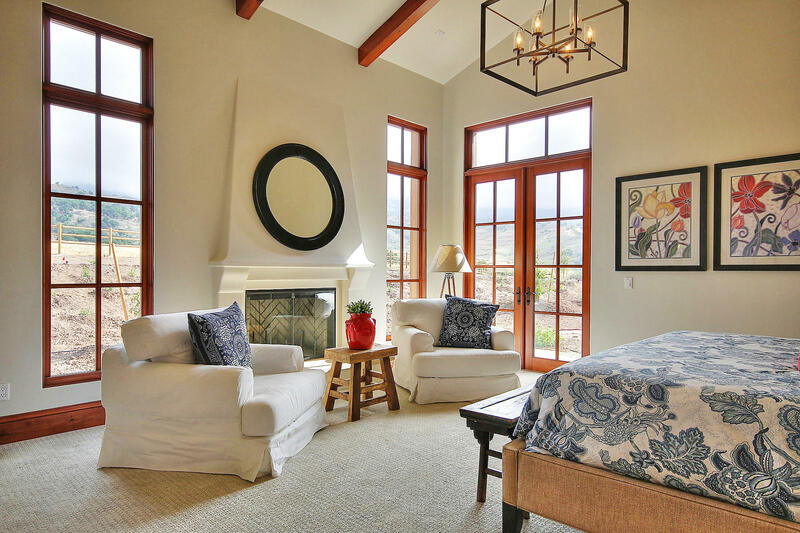 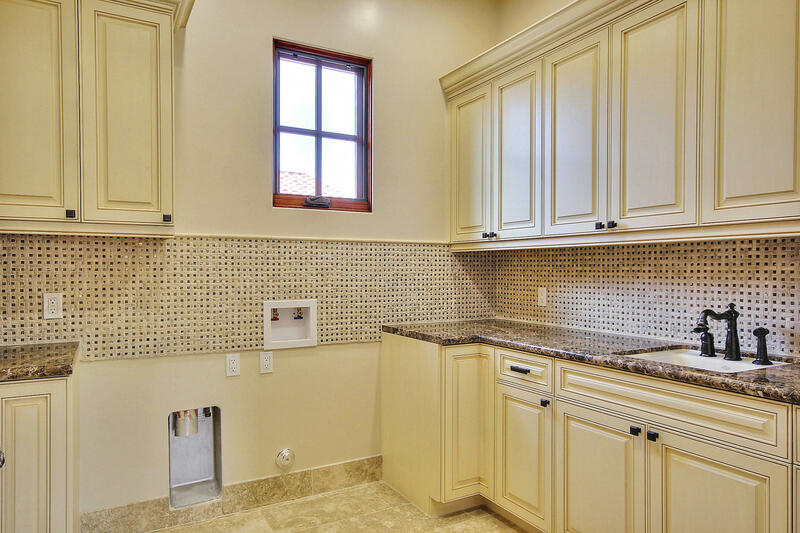 In all, there are two luxurious master bedroom suites, two additional bedroom suites plus a beautiful study. 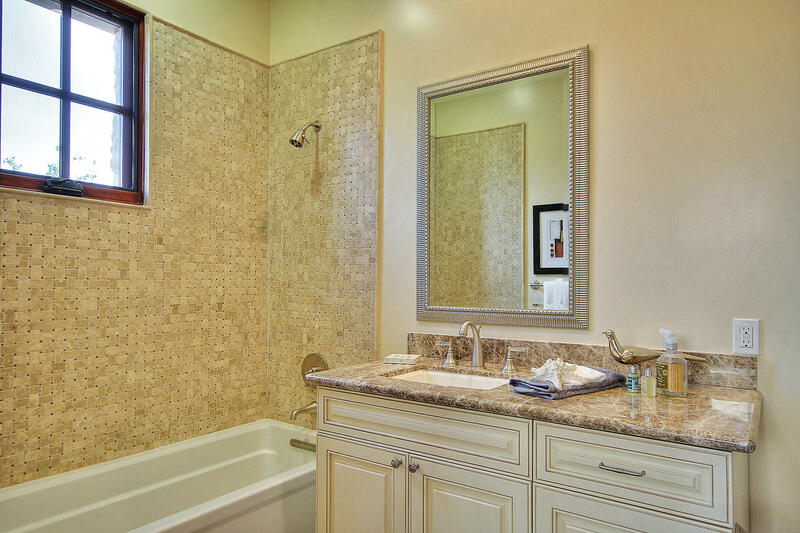 Soaking tubs in each of the master bathrooms provide relaxation and views. 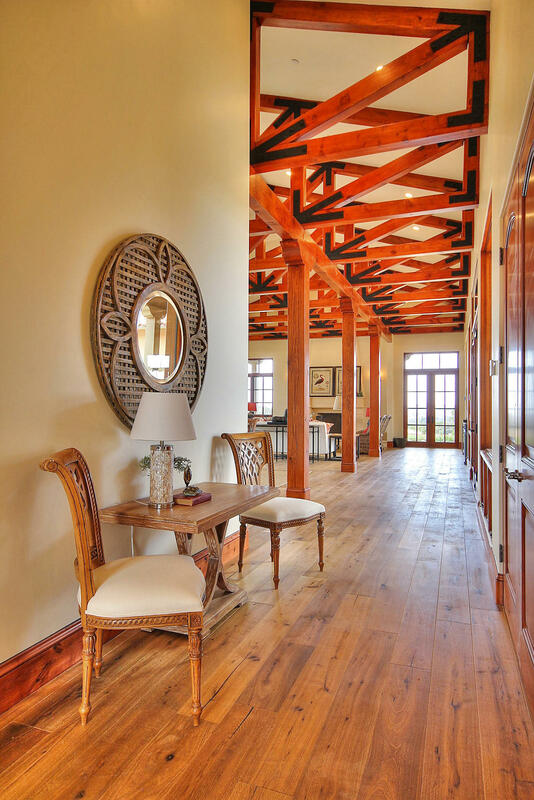 Other wonderful architectural details and features are discovered throughout the home, including wide halls perfect for an art gallery. 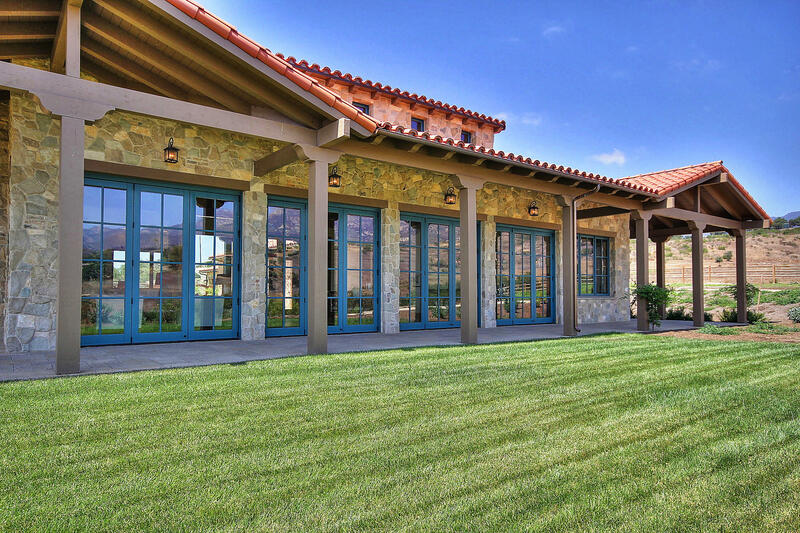 The large 3-car garage and motor court are accessed through an impressive entry gate and country lane that circles the north side of the grounds. 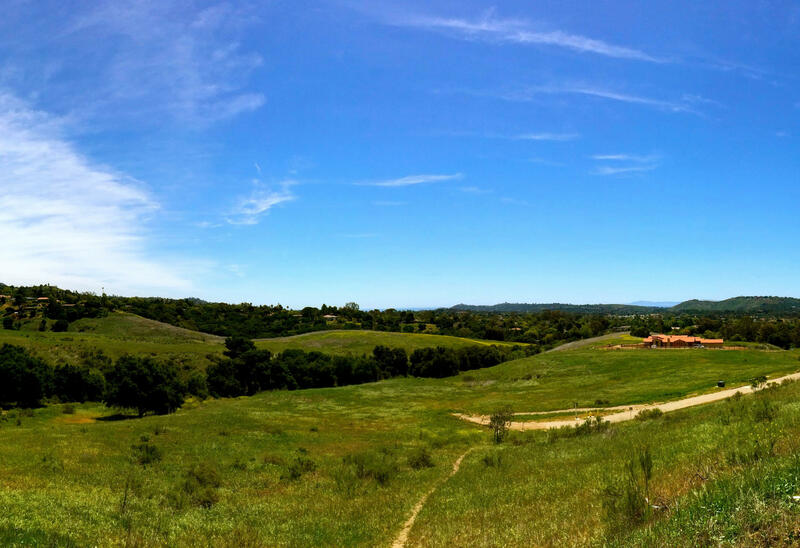 A nature lover's dream - The Meadows is contiguous to the beloved San Marcos Preserve, a 200+ acre nature preserve. 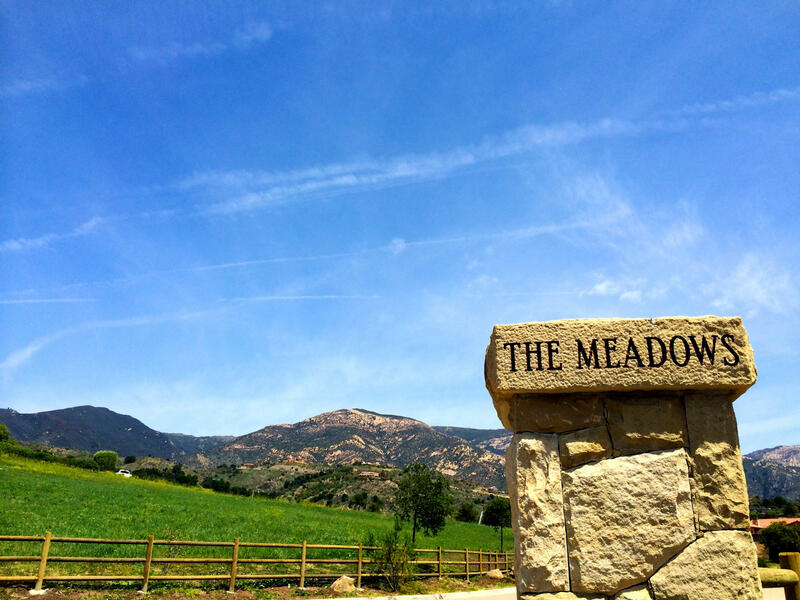 Walking, hiking, bird watching and tranquility are all part of what makes The Meadows a very special place to live and enjoy. 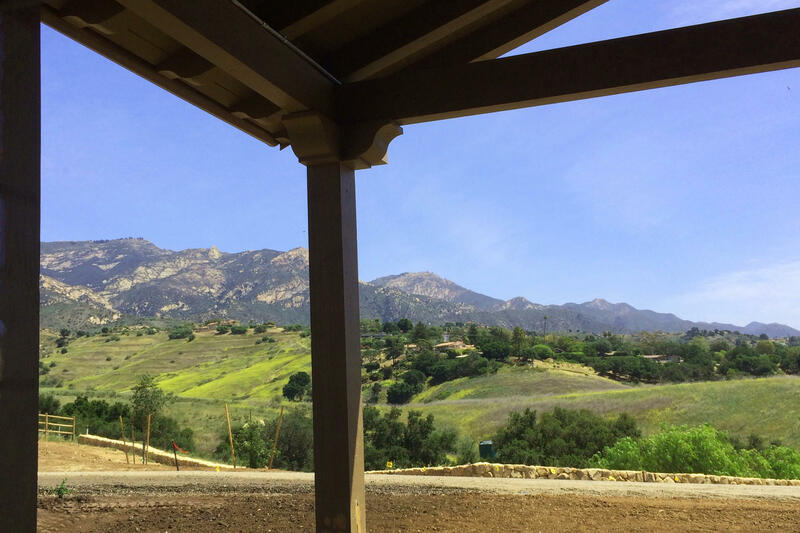 Here at The Meadows at San Marcos Preserve, just minutes away from downtown Santa Barbara, the treasured solitude and unbroken panoramas are yours. 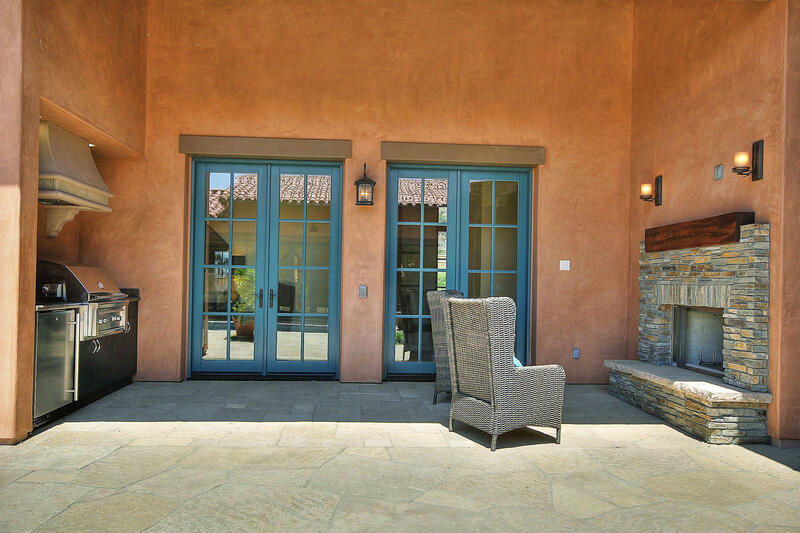 Relax and enjoy.